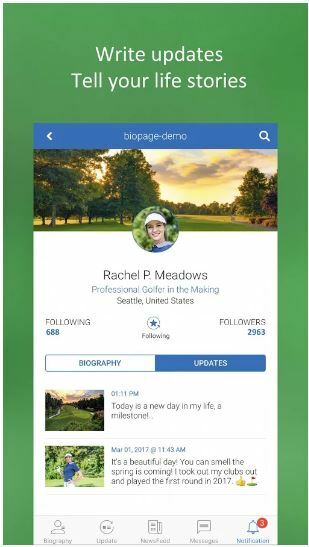 Biopage: Your biography, your social media ID card a splendid application which has made social media so simple. A perfect application to describe yourself in few words. 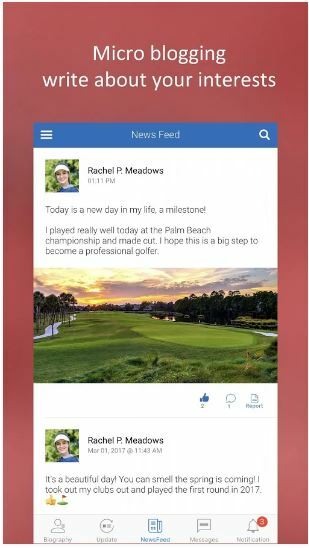 The team at Biopage LLC has really worked out well to get all the social networking places together in short its your Social media ID card. 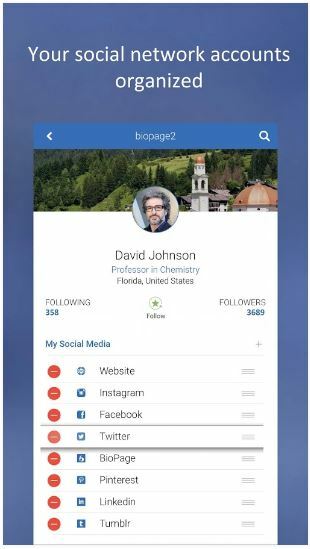 Biopage is an app where you can publish your biography and reflect your personal life, career interest, or business strategy and ideas. With the neatly designed interface Biopage makes it very user friendly. It features a simple and clean aesthetic that is pleasing to the eye while also being intuitive to use. The light coloured theme in Biopage, just makes you focus on the content on the app. The navigation controls are very smooth and there is no lag. To start with Biopage once you download the app you can sign in through Facebook or create a new account. Once you sign in you have to fill up your profile and save. You can add your social networking account details under My Social Media section. All your social networking sites can be accessed from one place, thats really a amazing feature. To add on in Biopage you can also chat with your friends one-to-one or you can create a group and have conversation there. You have to follow to create your own group of friends. 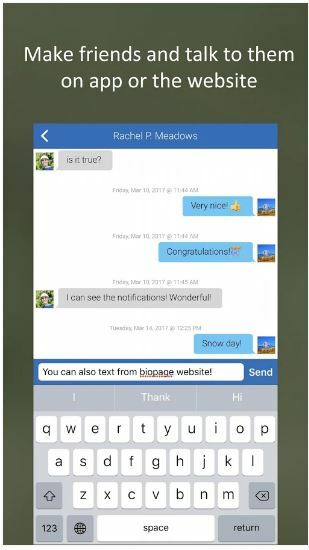 Biopage can also be accessed through website at https://www.biopage.com. 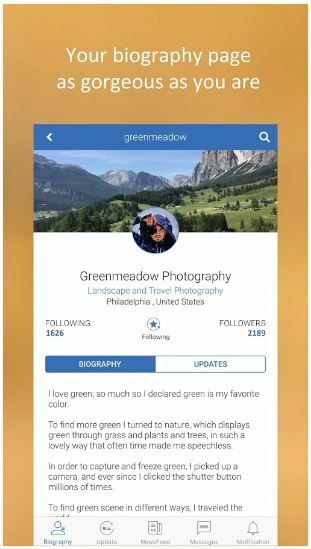 Its been just a week I started using Biopage, but I can see this being an invaluable application to make social networking simple. I highly recommend to check out this app and share your biography.